Principal Burbank introduces WHS's new athletic director, Tim Faulkner! Tim Faulkner was born and raised in Redwood City and is a 1997 graduate of Woodside High School. After graduating, Mr. Faulkner attended and played baseball at Santa Rosa Junior College from 1998-2000. Following the 2000 year, he transferred and played baseball at UC Riverside from 2000-2002. Mr. Faulkner graduated from UC Riverside in 2002 with a degree in Sociology/Administrative Studies. Mr. Faulkner earned his teaching credential from Notre Dame de Namur University and his master’s degree in Kinesiology/Sports Management from San Jose State University in 2009. Mr. Faulkner started his teaching career as the Physical Education teacher at Arundel School in San Carlos. 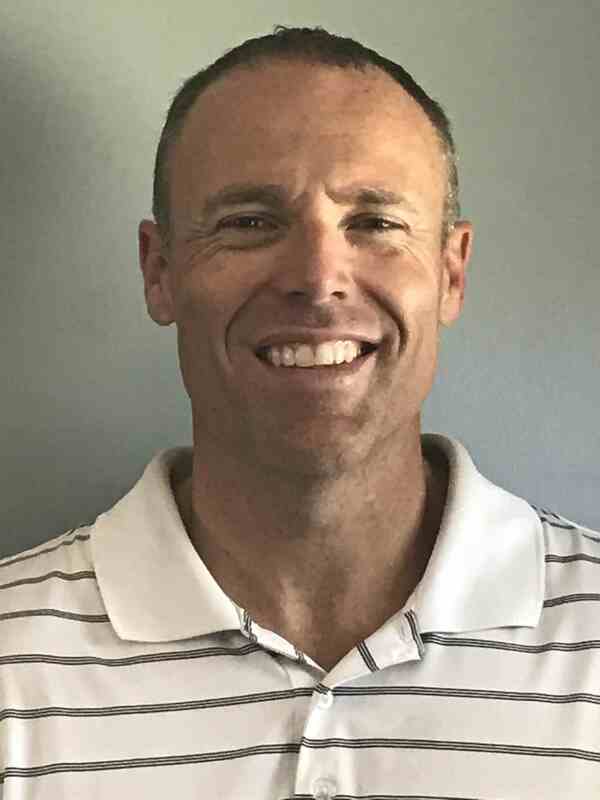 He then moved onto Roy Cloud School in the Redwood City School District where he was the middle school Physical Education Teacher for 14 years from 2004-2018. While at Roy Cloud, Mr. Faulkner ran the middle school Physical Education program and was a teacher mentor/support provider for RCSD as well. Mr. Faulkner has also been the varsity baseball coach at Woodside High School for 14 years, serving in that role from 2005-2018. Mr. Faulkner lives in San Carlos with his wife Jill, daughter Sadie, and son Kellen. Step Two) All participants in athletics must complete the Sports Net online registration process, click here to begin. For information on Cross Country, click here. For information on Girls Water Polo, click here. For information on Boys Water Polo, click here. For information on Woodside Football, click here. For information on the Woodside Cheer Program, click here. For information on the Woodside Volleyball Program, click here. To see the Gym Schedule for Basketball and Volleyball open gyms, click here. For information on the Boys Basketball Summer League, click here. The SUHSD has gone to an online registration and clearance process for athletic eligibility. If you would like a hard copy of the eligibility packet please see Ms. Tejeda in the AVP office. This specific form must be completed by a licensed MD to participate in athletics. Chiropractors are NOT accepted for athletic clearance. The Woodside High School Athletic Department provides opportunities for all students who seek to compete in high school athletics and represent Woodside High School. Woodside strongly believes that high school sports are an essential component of our extra-curricular activities which promote and reinforce the values of a strong work ethic, teamwork, delayed gratification and physical fitness. We value sportsmanship and strive to establish a competitive environment that aligns with our 8 Conditions of Student Success. Study hard. Practice hard. Play hard. 1) Go directly to the Neff Letter Jacket Page - click here. If you would like to see a sample of this product, visit the Athletic Director's Office in the Admin Building. 2) Goetz Brothers in will customize an order for you, they are located at 1125 Industrial Road in San Carlos. Remember that your letters, emblems, class year, etc. can be picked up in the Athletic Director's Office with verification of participation. Read about three Woodside Wildcats signing their national letter of intent on February 4th. Thank you to Beck Patrone for sharing his story, click here to listen to the write up. to send an email message. Woodside High School is a participating member of the Positive Coaching Alliance, a non-profit research based institution that firmly believes athletics can be an excellent avenue to develop character in young people. Please visit these sites to find out more information about the PCA. Click here for some basic information on how to play sports in college, produced by the National Association of College Admissions. 1. Must be currently enrolled in at least 25 semester units of work or 5 classes. 2) Must Pass at least 4, five-unit, classes at the completion of each grading period (quarter and semester). 4) Must maintain a minimum 2.0 weighted GPA (4.0 scale). GPA calculations are taken from the previous grading period (quarter or semester). 5 unit courses: A=4, B=3, C=2, D=1, F=0 (2.5 unit courses are worth half the points). Students who drop below a 2.0 at the following grading period, had have turned in all necessary paperwork, may become eligible at the following grading period if they have brought their GPA to a 2.0 or higher, have the required number of credits for their grade level, and have maintained their attendance as required in #6 below. 5) Must comply with all SUHSD and school behavior policies, PAL Code of Ethics, and CIF/CCS Code of Conduct for Interscholastic Student-Athletes. 6) Must maintain 85% attendance per quarter. Students who are absent more than 15% will be ineligible for the following quarter. 7) Students are expected to attend at least half of their academic day in order to participate in practice or games on that day. 8) Students on suspension will not be able to participate in practice or games until after they are allowed to return to school. Note: Students and parent/guardians, be aware of CIF Rule 600 which states, "A student on a high school team becomes ineligible if the student competes in a contest on an outside team, in the same sport, during any part of the student's high school season of sport, including post season CIF/CCS events. This is a scholarship opportunity for any tall female that is interested in rowing at Sacramento State, rowing experience is NOT necessary. Click here to coach youth soccer, these positions are PAID! These positions are offered through the Sheriff's Activity League. This is essay contest/scholarship is offered through the organization College Scholarships. This site provides a free course for the Sudden Cardiac Arrest training. The 'Fundamentals of Coaching' course fulfills the state mandated coaching class, there is a charge for this course. Click here to take an online first aid course. Click here to take the online concussion training. Click here for an online CPR and first aid course.